When I chose a glove for mountain guiding I need something that performs well. This winter I wanted to try out the Black Diamond Punisher Glove. I have been out this winter several times with the BD Punisher. I have a few guidelines that the glove has to meet. One of my more important concerns is that the glove has dexterity. I like placing protection on lead that flows smoothly. I do not like to fumble around with big puffy gloves while leading ice climbs. The BD punisher has a sleek low profile design that allows for easy handling of my ice equipment. A quick test for me to tell if the glove has precision is too be able to tie my ice boots without taking my gloves off and the Punisher passed. A second concern of mine is the ability of the glove to stay somewhat dry while being out all day in adverse conditions. 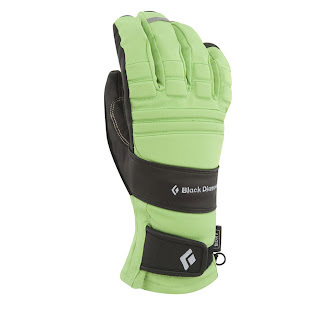 My body runs hot so I have a style of hiking in to the climb with a BD mid-weight super breathable liner so I do not sweat into the glove that I will be ice climbing in. When I was climbing in negative degree weather the punisher stayed warm and breathed pretty well I found while ice climbing and belaying. 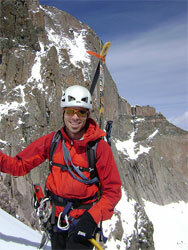 I have been guiding for a decade now and I have seen the sport develop a bit over the years. I like the fact that gear is getting more modern. There has been some thought on Black Diamonds part, I have experienced the functionality of the Punisher. Like the glove keeper loops on the finger so I am able to store my gloves upside down on my gear loops so no falling snow is able to get inside of the glove. I also discovered that there is softer material on the thumb that I use as a nose wipe in really cold weather. It’s the little things like that in the back country, which gives me a bit more comfort. Whether I am chopping steps with my piolet or bashing icecicles with my Cobra’s I will be wearing my BD Punishers on my next guiding adventure. Nice write up on the BD gloves and great photo of you. Good to hear you are out in the mountains. Wish I were there now and hope to get back soon.